WEEKLY NEWS AND TALK SHOW, “HUCKABEE,” WILL PREMIERE ON SATURDAY, OCTOBER 7TH AT 8 P.M. ET/7 P.M. CT, EXCLUSIVELY ON TRINITY BROADCASTING NETWORK (TBN). 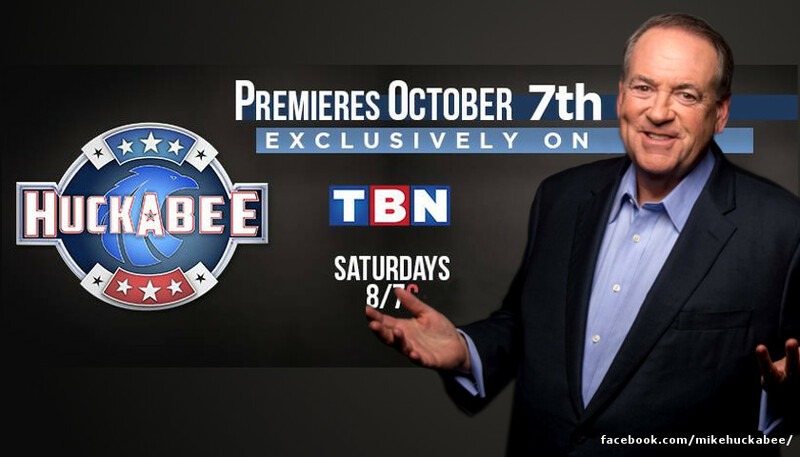 Former Arkansas Governor, presidential candidate, and longtime popular political commentator Mike Huckabee will premiere his weekly news and talk show, “Huckabee,” on Saturday, October 7th at 8 p.m. ET/7 p.m. CT, exclusively on Trinity Broadcasting Network (TBN). “Huckabee” will combine Gov. Huckabee’s commentary on news-of-the-day and current issues, along with guests from the worlds of politics, entertainment and faith. The program will follow a similar format from his fan-favorite Fox News Channel talk show of the same title, which aired on the network from 2008 until 2015 and averaged nearly 2 million viewers, with more than half of those falling in the 25-54 demographic. “Huckabee” will be taped in front of a live studio audience from the TBN studios outside of Nashville, Tenn.
After serving Arkansas as its 44th Governor (1996-2007), one of the longest serving in that office, Gov. Huckabee made a run for the Republican nomination for president in 2008. In 2008 he went on to host “Huckabee” on Fox News Channel until 2015 when he left to explore a potential bid for the presidency. He also hosted the syndicated radio show The Huckabee Report, which aired three times daily on nearly 600 radio stations across the nation from 2008-2015. He has authored numerous books including the New York Times bestsellers God, Guns, Grits and Gravy, and Do the Right Thing, and continues to be a Fox News Channel contributor, and one of the nation’s most sought-after speakers. Indoor air quality can be 2-5 times worse than the air outside, yet your viewers are spending 90% of their time indoors. October is Indoor Air Quality Month, a time to raise awareness surrounding a mostly invisible problem of potentially harmful effects of poor air quality inside many homes. Many viewers are likely unaware of poor indoor air quality, but may have experienced firsthand its impact, ranging from eye and throat irritation to increased asthma symptoms. In fact, pets, cooking and everyday cleaning activities like vacuuming and dusting may kick up millions of particles we can’t see into the air we breathe. And, cold winter months can worsen indoor air quality, as many close the windows and run their furnaces, reducing natural ventilation. In fact, the U.S. Environmental Protection Agency (EPA) has ranked indoor air pollution among the top five environmental risks to public health, alongside issues such as toxic waste and clean water scarcity. Even well-maintained and ventilated homes can be a breeding ground for dust, pollen, mold spores, bacteria and other viruses. Michele is here to share the most common causes affecting the air in your home, and simple, specific tips to increase healthier air circulation. Proper Ventilation – Cooking is a big source of indoor air pollution, particularly if you have a gas stove; be sure your kitchen is well-ventilated, and open windows and doors while cooking. Humidity Control – Run exhaust fans in bathrooms, remove mold growth and promptly fix all leaks to reduce the potential breeding ground for mold spores and bacteria. Changing your Air Filter – The EPA recommends checking your home’s air filter monthly and changing it at least quarterly to help improve indoor air quality. 3M Filtrete filters are 90% effective at capturing dust, pollen and mold spores, 25% more effective than other filters on the market. Eliminate Toxic Products – Check what chemicals are in your hair/nail products, art supplies and cleaning solutions, look for products marked “low VOCs” and use only in a well-ventilated area. 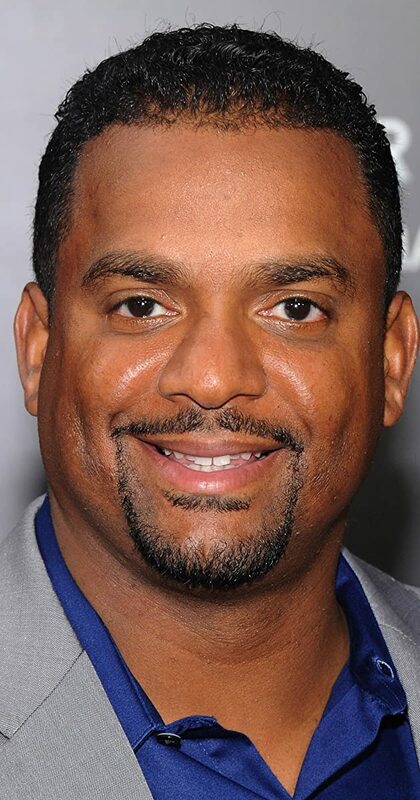 Alfonso Ribeiro is an well-known American actor, television director, dancer and TV show host who has starred in in some of America’s top television shows. Ribeiro played Carlton Banks on the NBC sitcom The Fresh Prince of Bel-Air, and he got his big break on the sitcom Silver Spoons. Currently, he hosts ABC's America's Funniest Home Videos, a role that will serve him well on National Taco Day! This October, Riberio is teaming up with Clorox for a queso and guac-filled “What the Mess? !” challenge celebrating National Taco Day. He will host the game-show style challenge, which will put two competitors to the test as they compete in messy challenges. Fans will be able to watch in real-time on Facebook Live and join in the fun as they play games like the “Leaning Tower of Tacos” and “Tic Tac Taco.” The fun event is part of the launch of new Clorox® Regular Bleach2 with CloroMax™ Technology, with each challenge putting contestants and the new clean technology to extreme tests.